Today we’ve got a smorgasbord of action cameras to check out. The DJI Osmo Pocket against the Insta360 One X and the GoPro Hero 7 Black. 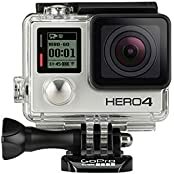 Which one will do best as a stabilized action camera? The Osmo Pocket has a mechanical gimbal and can record in up to 4k 60fps, the GoPro has electronic stabilization and can also record up to 4k 60fps, and last but not least the One X can record everything and export it with a hybrid stabilization system to 1080pish. Which one will do best? Lets find out! Nikon Z6 Nikkor 24-70mm Unboxing!